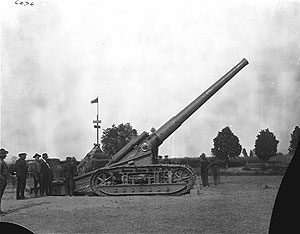 The 7-inch/45 caliber Caterpillar tractor mounted gun exhibited at Naval Support Facility Dahlgren today began its life at Dahlgren to be proof tested before the Marine Corps planed to take it to France in WWI. 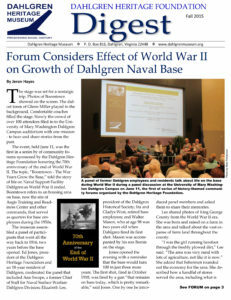 On October 16, 1918, it was the first gun fired on the new proving ground at what was not yet called Dahlgren. This firing announced that the proving ground was open for business. For many decades now, the base has taken this date to celebrate its birthday and has used this as the symbol of its beginning. 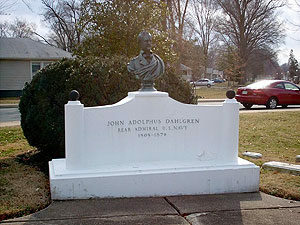 Thus, the return of this gun to Dahlgren, on a ten-year loan from the National Museum of the Marine Corps, and its unveiling at Dahlgren on November 13, 2009, mark another significant even in the history of this Naval Base. 6 November 1970. Lois O. Duckwall. The Laboratory Log. Three new arrivals have reported to the Naval Space and Surveillance System, and each has created quite a stir. First is NAVSPASUR’s new, and for the foreseeable future, “permanent” boot Ensign, John “Doug” Carlson, USNR. Doug, and his wife Karen, are both natives of Greeley, Colorado, and attended Colorado State University where they first met. Doug earned his Bachelor’s degree in mechanical engineering there last March, and entered Officer Candidate School in Newport, Rhode Island, immediately thereafter. NAVSPASUR is his first tour. 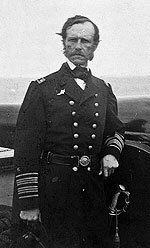 He has assumed duties as Assistant Department Head in Engineering, with additional “unspecified” tasks as the Command’s “most junior” officer. The Carsons reside at 606 Gilmore.